The 2nd Global Climate Policy Conference (GCPC) 2015, was co-organized by the Stanley Foundation and Climate Strategies (with support from the Oak Foundation) on April 30–May 1, 2015, in New Delhi, India. The conference provided a platform for innovative research and ideas to explore ways to advance climate action, and a better understanding of how research can contribute to improved climate policy- making. 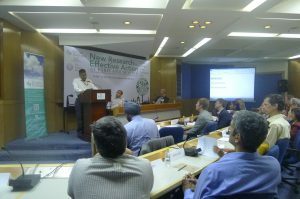 It brought together climate-policy researchers and stakeholder experts from around the world. As a way to ensure climate justice, the notion of development pathways needs to be fully thought through. To enhance climate finance, more innovative approaches such as public-private partnerships, debt-for-climate swaps, and micro-finance require further exploration. The policy community should identify new ways to better hold states accountable for their climate pledges. Clubs have potential to enhance climate action through accelerated innovation among a key set of players, yet the uncertainty of its feasibility, effectiveness, and process seemed to warrant deeper analysis and investigation. Within adaptation, more transformative goals and the need for developing a generalised understanding of adaptation processes from the large range of ongoing projects was highlighted for defining success in both the short-and long-term. Exploration of new approaches in loss and damage research such as probabilistic event attribution and legal avenues may be key to formulating climate policy. Central to low-carbon technology deployment is the importance of building suitable local capacity as a way to enhance action on the ground in developing countries. Conference discussions indicated the value of the research and analysis to better understand the key issues pertaining to progress on various dimensions of climate policy and action, and to the development of innovative approaches to help move humanity toward solutions pathways for a safe climate world. The full version of the papers presented in these sessions are available available for download. 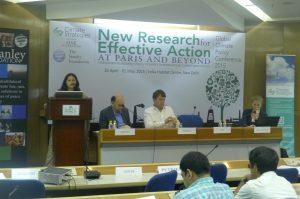 The post-conference report, New Research for Effective Action at Paris and Beyond includes summaries of the presentations and participant discussions as captured by the rapporteurs. It also includes the conference chair’s summary and co-chairs’ reflections on the parallel tracks.